When school is out, many parents struggle with keeping children occupied. There’s nothing scarier than exhausting your summer activities list within the first week! But, with a small change of attitude and a touch or creativity, you’ll find that the summer is an excellent time to engage with your children and encourage continued discovery. And, if you put thought into your summer activities, you can introduce your children to events, people and activities they won’t experience at school. At Maria Montessori School, we believe that a child’s development is dependent upon their ability to engage with the world around them. And, when they do engage with various people, places and things, you should be there to help guide discussion and unpack each experience. So, you’re probably wondering what you can do in Memphis? Well, there are many things! Memphis is full of vibrant people and history that are just waiting to be explored! 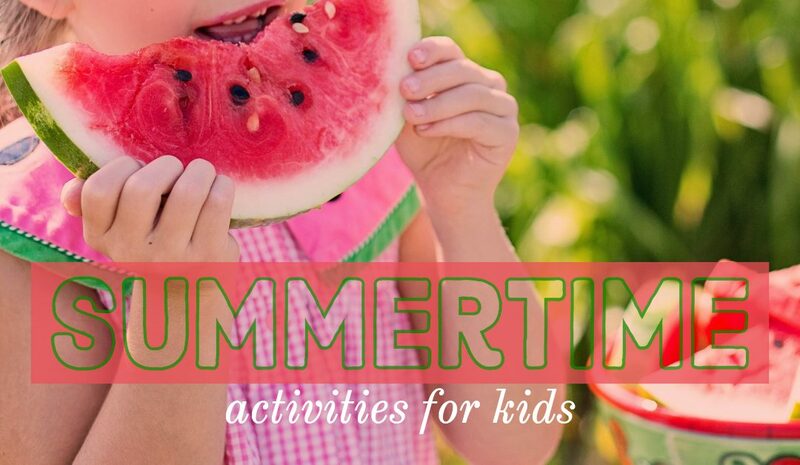 Here are a few ideas to get your summer activity list started. Visit parks and compare scenery. Between Overton and Shelby Farms parks, there is bound to be an outdoor oasis near you! Take some time to explore different outdoor spaces with your child. Discuss the different scenery. What plants and animals do you see on your walk? Are there different smells or activities going on in the park? What’s the park’s history? Take time to enjoy the park beyond the playground. However, incorporating play time is a great idea! Visit local museums and art galleries. Memphis is home to a number of museums of cultural significance and art galleries. Take your children to these museums and answer questions as they explore the museum. Try to be gentle with prompting, allowing and encouraging them to explore how exhibits make them feel. On the way home, talk about new things you learned and how you can apply lessons to your life. As you visit different museums, discuss how the story told in each connects to and impacts the others. Attend a free concert or performance art event. Summer is a great time to take in a free performance outdoors, like at the Levitt Shell, or take your children to a cultural performance, like the opera. Experience diversity in performance art, and take the opportunity to learn about different cultures and the history behind each piece. You may find that you have an aspiring musician in your midst! In Montessori schools, tactile life skills are highly important. Working in the kitchen with your children is a great way to practice pouring, measuring, mixing and other important motions for children to learn. Look at the schedule for local food stores, like Whole Foods and Sur La Table, and see if there are any kid-friendly kitchen classes available. Check out national historic sites. Memphis is full of vibrant and historic districts, like Victorian Village and the Bluff. Visit those areas and schedule a tour if you can. Talk with your children about what those areas looked like when the were originally founded, and what changes they think have been made since. You can talk about basic architecture, size and purpose of each building, and how they changed during the growth and evolution of our city. There are also a number of government buildings to visit, which can spur conversations about civic engagement and the importance of understanding how local government operates.